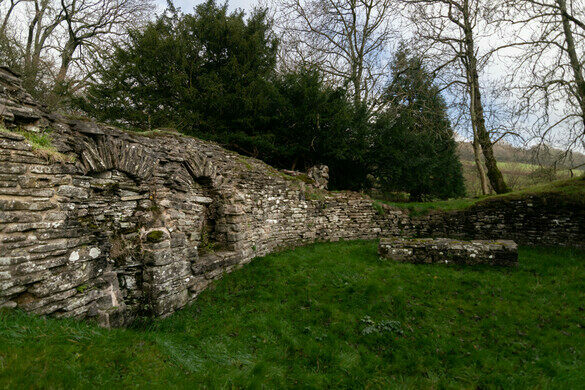 Sitting within a small valley some 1,240 feet above sea level, Craswall Priory is the highest monastic site in the United Kingdom, and one of the most remote. This is also a rare ruin in that it is the only surviving Grandmontine priory in the country, an order of monks named after its motherhouse, Grandmont Abbey in France. A vortex fountain that seems to rise out of the ground. This witch statue remembers a time in England's history when fear trumped truth. 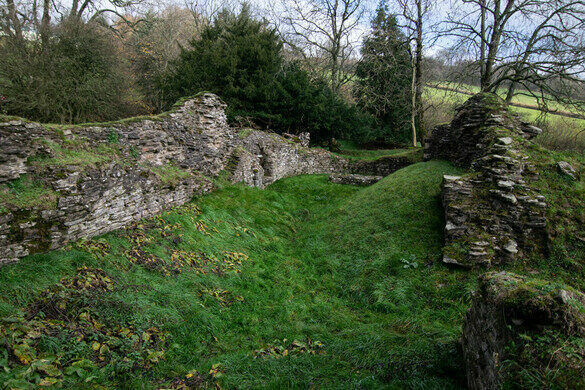 The Craswall monastery was founded around 1225 by order of Walter de Lacy, a local lord. Given its location and the order’s small presence in England, the priory was never wealthy, and the monks lived in relative austerity in comparison to their fellow brothers at nearby monastic houses. By the fourteenth century, the order was running into trouble. A prior named John Cublington was charged with various misdemeanors including selling the priory’s property and murdering a woman! By the end of the century, most of the priories in southern England had been seized by the crown, though Craswall was left alone due to its small size until 1441, when it was finally dissolved. 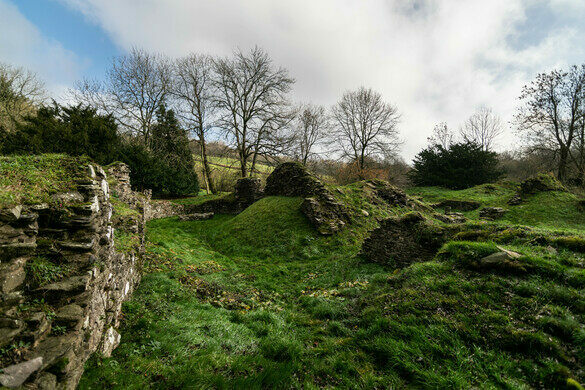 The remains of the building are paltry in comparison to neighboring abbeys, but the location in this most remote part of Herefordshire more than makes up for it. The site has an ancient atmosphere to it; the harshness of medieval life here is all too clear. The building is of modest size, smaller than some parish churches, with a square chapter house that is still visible, and a cloister attached that is now mostly obscured by the overgrowth. While this is a privately owned ruin, the landowners have kindly allowed public access without charge and the site is cared for by the Craswall Grandmontine Society. The priory is best accessed on foot via the network of public footpaths in the area, a walking guide can be found on the priory website. Visitors can also get there by car via the lane running from Hay to Longtown, take the sign to Abbey Farm, follow the steep farm track down the hill and park on the gravel opposite the barns at the bottom of the road. Brooks, A. & Pevsner, N. (2012) Herefordshire. Yale University Press. Beasts and branches swirl in sandstone carvings, interrupted by one strange creature.